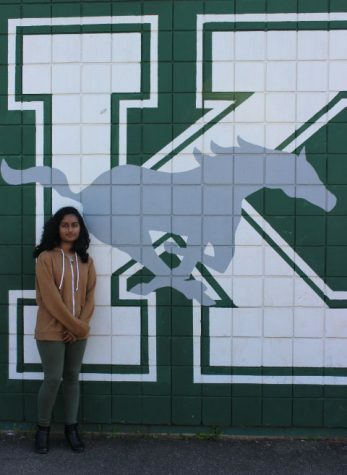 Pragna Kistangari is currently a junior in John F. Kennedy who takes her studies seriously. Although studying may not be her favorite activity, she is willing to study as hard as she can to pass her tests and quizzes. Pragna enjoys drawing, reading, writing, and listening to music. You will almost never catch her in the halls without her trusted sketchbook and a novel to read. Up until last summer, she had done karate every Tuesdays and Thursdays until she had reached the first level of blackbelt. She also enjoys playing her violin, which she named Pyro from time to time, despite her sister noting how she plays like nails scratching a chalkboard. She spends her time after school relaxing and doing homework while listening to music. Outside of academics and school activities, either she is having fun with her friends or using her computer. She may not be a full-on gamer, but she enjoys playing some games such as osu! which is currently her favorite.